The Cockermouth, Keswick and Penrith Railway (CK&PR) was engineered by Thomas Bouch, from Wigton - not far away in what was then Cumberland. Bowstring girder bridges ereted above and below the track, giving an "alpine" character. Screw-piled bridges across rivers whose deep foundations are very resistant to the erosive action of moving water. All have become part of the landscape and character of the area. Maintaining briodges is not a simple business - creation of the Railway Footpath and continued care by the Lake District National Park Authority, Railway Industry and Local Authorities has sved the most important structures. Eventually they need to "pay their way" and operating a railway which uses them is the only secure long term guarantee for their survival. 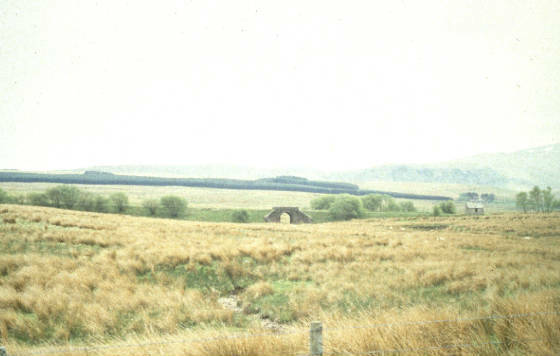 Some bridges were widened when the line between Penruddock and Threlkeld was converted from single track to double track to cope with heavier than expetced freight traffic. 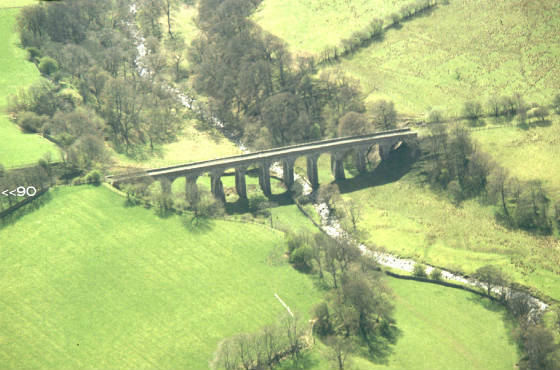 All bridges between Penrith and Braithwaite (west of Keswick) were strengthened in the 1930s to main line standards. 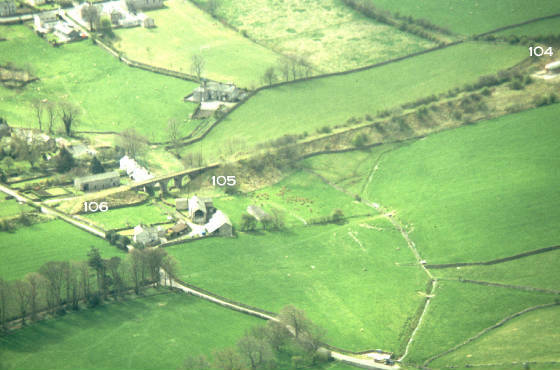 Between Keswick and Threlkeld there are eight "bowstring" girder bridges. Their shape resembles a simple archery bow. Some girders arch above track level and some below. Such bridges are quite rare in the UK and considered by many to give the line an "alpine" character. These bridges are all on the Railway Path maintained by the Lake District National Park Authority (LDNPA). Railway tracks have been replaced by specially designed wooden "decks" and handrails which make the route easily accessible for walkers, cyclists, people with pushchairs and wheelchair users. A news story in April 2013 gave the impression that those girder bridges were being removed and replaced by footbridges. That would have been a disaster for the Railway Project - adding millions of pounds to the re-opening costs. In fact the LDNPA was removing all rotten wood and rubbish, then building new decks on top of the steel structures. This work will help protect the structures from the worst effects of the weather. This work is due to be completed in early 2014 and is a welcome move, keeping the route accessible and preserving it for all types of future transport use. 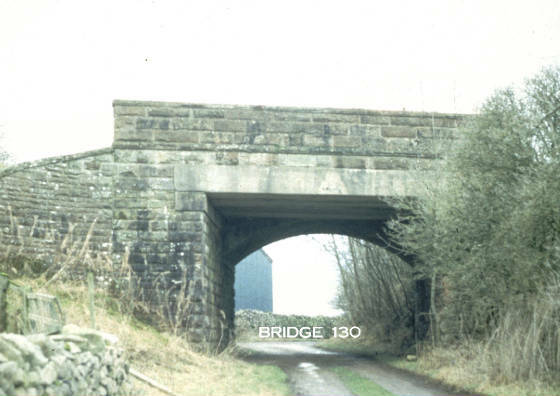 Bridges between Penrith and Braithwaite (west of Keswick) were strengthened in the 1930s to allow heavy main line steam engines to operate on the route, particularly for services such as the "Lakes Express" and to serve the Keswick Convention. This strengthening is more than adequate for any type of train currently operating in the north of England. 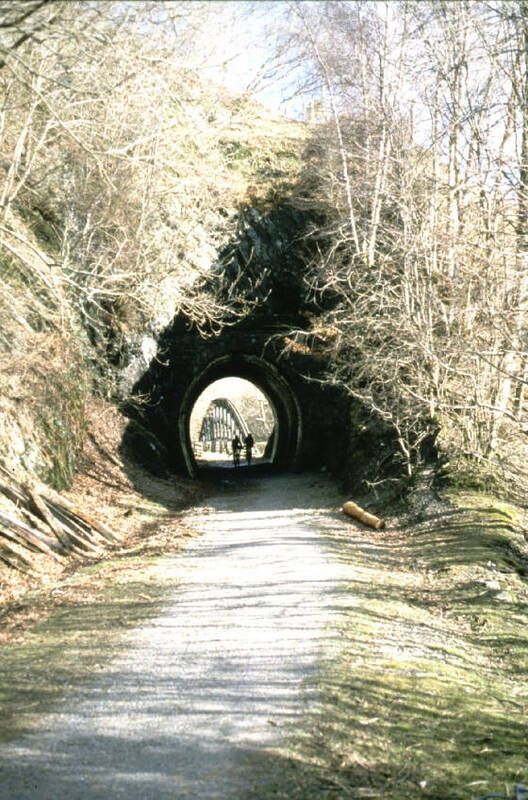 "Big Tunnel" (98 yards long and slightly curved) just west of Keswick where the A66 Greta Viaduct spans the valley. "Little Tunnel" in Brundholme Woods, about half way to Threlkeld. This is open to walkers on the Railway Path. This view of Little Tunnel appears in the opening credits of the film "Six Five Special". All structures which join, carry or cross public rights of way are maintained by Local Authorities. The two main viaducts and a few other structures are still the responsibilty of the Railway Industry. The bridges on the Path from Keswick to Threlkeld are maintained by the Lake District National Park Authority. Their apprenticeship schemes now include training in bridge maintenance. Other structures ae the responsibility of individual landowners. A few have been removed where they restricted the height of vehicles on busy roads, or are no longer required. All significant structures required remain in place. A few new structures will be required, but this is little more than normal developments changes would have taken place over the ars as land use changed and roads developed. At some stage all bridges need major repairs to ensure their strength to carry future traffic. Sometimes a decision is made to "infill" a bridge rather than carry out detailed repairs. "Infilling" means building a bank of stone or earth under the bridge and casting a concrete "bed" under the bride deck to support it. That process reduces future maintenance needs, but completely blocks the space under the bridge. 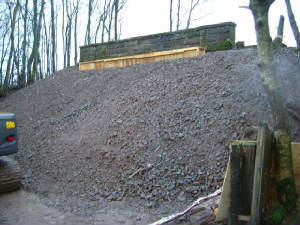 If a bridge over a railway trackbed has been "infilled", when the railway is re-opened, all the concrete and earth or stone has to be dug out and the bridge deck replaced. That will probably cost much more than the repairs required when the decision to "infill" was made. The Lake District National Park Authority rejected an application to "infill" a ridge early in 2013, having told the applicant that such action would contravene policies to protect the route for future sustainable transport use. For sections open for public access, see the "Railway Footpath" page.